PLATTSBURGH, N.Y. - Police say they've arrested a 22-year-old upstate New York man in possession of marijuana, cocaine and LSD, all hidden inside a stuffed animal that was dressed in an anti-drug T-shirt. And you thought irony was dead. Troopers say Gregory Bolongnese, of Plattsburgh, was arrested Monday at the bus station in his hometown near the Canadian border. 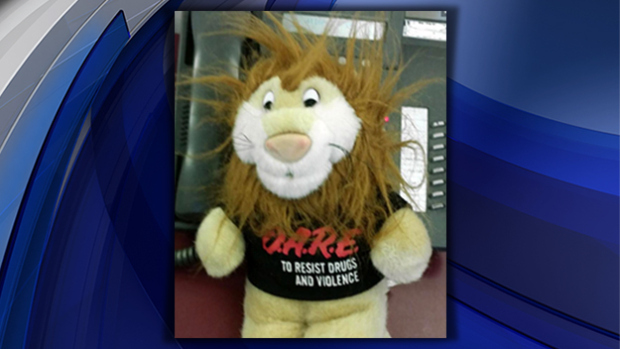 They say they found two grams of pot, about a half-gram of cocaine and LSD inside a stuffed lion doll wearing a D.A.R.E. shirt. D.A.R.E. stands for Drug Abuse Resistance Education, a program that aims to educate young people about staying away from drugs, gangs and violence. Bolognese was charged with criminal possession of a controlled substance and unlawful possession of marijuana.